The image of Michelin, as we know it, is that of a premium, high quality brand. From tyres to its acclaimed bible of dining guides, the company and its reputation is known to many since the early 20th Century. Sometime in 2017, the company hauled a new performance tyre that's reviewed by many automobile magazines and articles to be an unrivalled overall product with superior silica compounds. For the sake of science and to satisfy my curiosity, I ordered a set of Pilot Sport 4 to replace my outgoing Advan Sport v105. 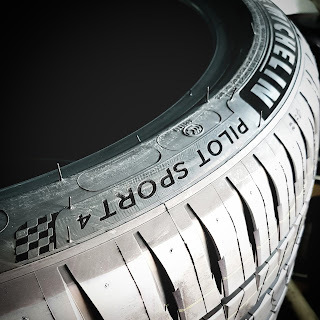 Now, I have not been using much of Michelins but my last Pilot Sport 3 experience was nothing extraordinary to brag about. Henceforth, I can assure you that my opinions here are expressed in the most unbiased means possible. Do note that this is not a "Top Gear" neck to neck tyre review because there is no control tyre used. To set the record straight, my opinions were based on grounds of familiar driving routes as well as driving habits on my daily driven GT86. Although the circumferential grooves weren't as thick as I expected, I must admit that the tyres look really neat with deep thread patterns that perhaps suggest some good engineering. What I really liked about the PS4 is the nice sidewall design. The handsome and neatly curved sides reminds me of the "European flair" that's akin to that of the Continental Sport Contacts but with more aggression put into it. In short, I really like the way the PS4 looked on my GT86. Just look as those MICHELIN Pilot Sport 4 lettering! 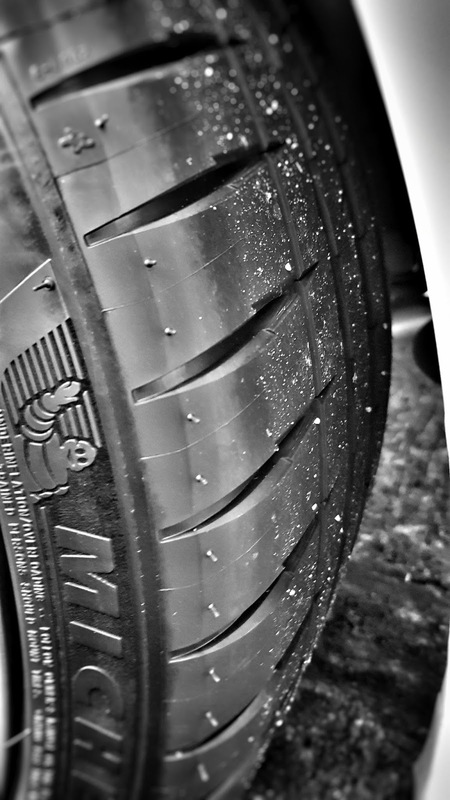 First impressions and I can swear that these tyres have a higher comfort level over my previous Advan Sport v105. Unlike the Advans, the road harshness have been dampened significantly compared to my Advans and I couldn't feel those pebbles on the road anymore. 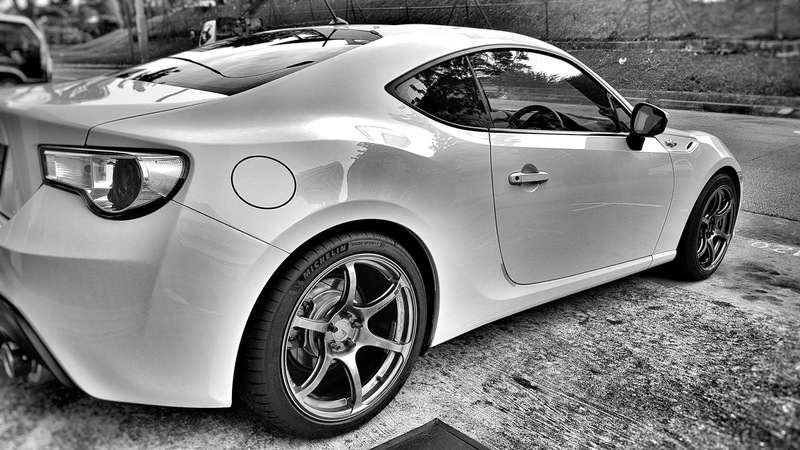 With the PS4, the drive on my GT86 felt less raw and more refined. The bumps from speed stripes no longer come with a 'bang' through the floor as they felt further away. 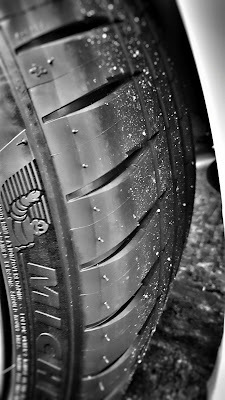 It was as if the tyres were made from thicker rubber or something and I kid you not, the difference was very obvious. While I think road feedback is absolutely necessary on the track, I am now 'religiously' converted to appreciate the more comfortable drive for the street. 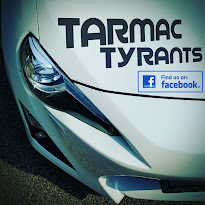 The past 2 years on the Advans were good fun but I think it's time for more driving pleasure. A rather unexpected benefit but somehow, my budget sports car somewhat felt a little more expensive behind the wheel with the PS4. It's difficult to articulate but the ride is still firm with good feedback and all but its like the road is 'filtered' and only the better stuff gets to your hands on the wheel? Weird but apparently, the tyres I got were not made from the same factory. For that matter, not even from the same country. Based on my understanding, this was because the importers here obtain some of their stock from Asian factories based on size for economical reasons. 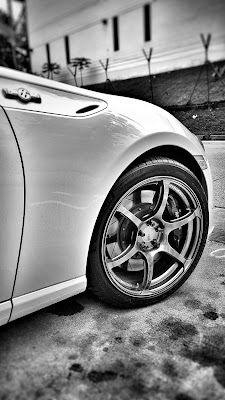 My 225/40R18 fronts were made in Thailand while the wider 255/35R18 rears came from France. For obvious reasons, the fronts were half the price. In this regard, the PS4 is competitively priced. As you know, all tyres need a fair bit of running in for optimal performance but I met with extremely bad weather on the day of install because it's kind of like the monsoon season in this part of the world. With barely 40 kilometres on the odometer, mother nature put me up for the wet test rather prematurely. So I rolled with the punches and went head on with her design. In heavy downpour, the PS4 was impressive. While I promised my installer that I wouldn't murder my tyres on the first day, I took on the wet streets with decent speed in the pouring rain. If you live in Singapore, you should be familiar with the aggressive bend at the entry of Stevens Road after branching off Scotts and the final bend where Stevens Road merges with the Pan Island Expressway. This is one of my favourite test areas for wet conditions because the bends are quite challenging by design and can be catastrophic for the unprepared soul. The PS4s carried me through the stretch confidently with impressive steering control. Slamming through some puddles at 80km/h, there were no signs of hydroplaning. Quite expected performance for such a premium tyre so nothing "Michelin Star" about that because I would be shocked if it wasn't so. Paced quicker than all the cars in the pouring rain, the drive was as exciting as it was confident. The grin on me was yours to imagine! Relatively hard braking on slippery roads were exercised and from 60km/h to almost a dead stop, my GT86 decelerated confidently without the ABS or traction indicator flashing. The PS4s were certainly made from superior compounds. I couldn't say the same for my worn Advans but I recalled the they were pretty much as good when they were new. Braking in the wet, checked! Two days later and about 150 kilometres into the compound of the PS4 and I finally had some good weather here. If you look at the picture above, you can see that the PS4 is quite a sticky tyre because it seems to pick up a lot of dirt from the tarmac. Again, this is quite expected for a performance tyre especially when it's new. While the steering response and sharpness felt precise with good grip to craze the day, I couldn't say I enjoyed driving with the PS4s in dry conditions as much as I did in the rain. As strange as it sounds, the PS4 was most enjoyable to me under wet conditions because the drive felt so connected when others around me struggled in the pouring rain. Thus far, having good runs with Japanese and German tyres, I must honestly say that the successor to Michelin's Pilot Super Sport is indeed a great performance tyre. Reasonably priced for sheer driving pleasure, the PS4 comes highly recommended if you are looking for a street tyre that outperforms most with unexpected levels of comfort for a performance radials. I am really thankful to you for sharing this blog with us.If you are looking for birmingham limo hire,then you can contact lux-limo for further details. When you’re going to buy a car there’s a lot of things to think through. Probably by now you’re settled on a few car candidates. Of course you should see them in person before making a decision. There’s a way you check out this cars I mean you’re able to know whether it’s worth further consideration just entering the VIN number here https://www.faxvin.com/vin-check/title and getting the accidents and operational history of the car, mileage, theft records etc.